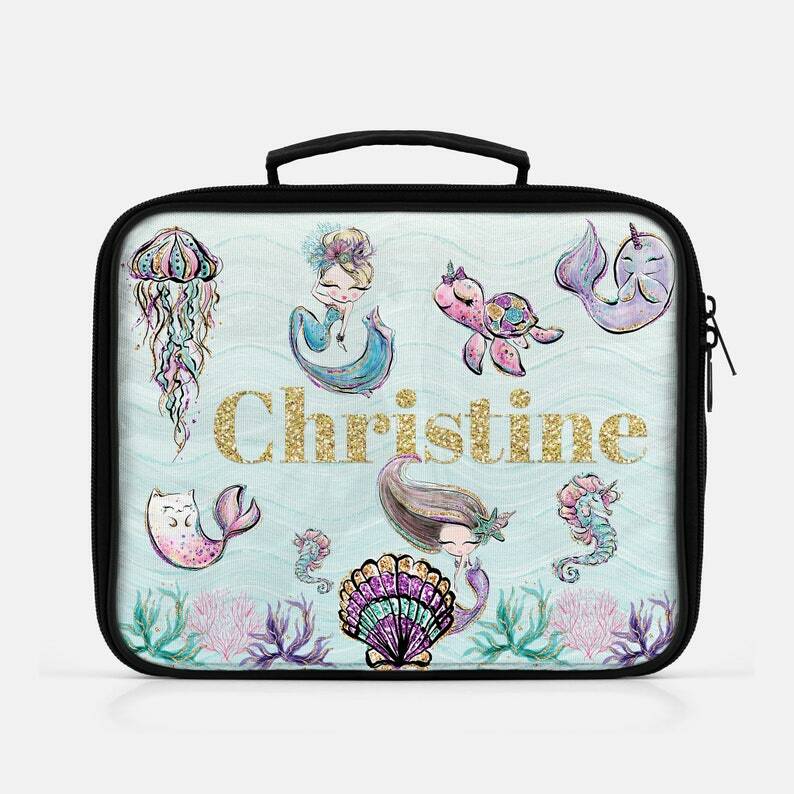 Our beautiful mermaid, narwhal, sea turtle, sea horse & jellyfish lunch bag can be used for back to work, back to school or traveling the world. Printed and shipped from the USA, each insulated lunch tote is personalized with your choice of name or wording. The lunch tote makes a beautiful gift for any mermaid lover. •Please note the design is printed on an insert in which sometimes leave a small gap near the seam. • This design does not include real glitter, but rather a quality high resolution graphic that will look like real glitter.